A SENSUAL CELEBRATION OF “JOIE DE VIVRE"
Glamour, grace, glitter. 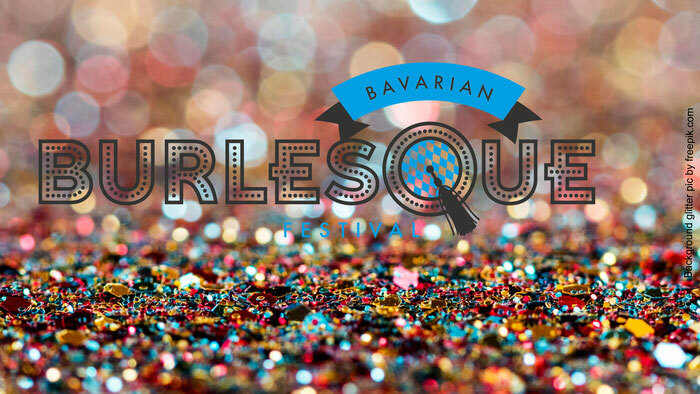 The Bavarian Burlesque festival will take place for the second time on October 25th and 26th. International Burlesque stars will carry the audience into a world of fantasy and sensuality. Like no other, Burlesque, skilfully combines the art of the tease and seduction in many ways. Whether sensual, elegant, mysterious, explosive, cheeky or simply hilarious - the sky is the limit. It’s not about the strip, but about the tease. The play with the audience, the breath-taking costumes, the music or the stories that the performances are telling. The audience will be captured by an international cast of dazzling performers in two completely different shows. The „Friday Night Tease“ takes place at Theater Drehleier, Munich’s first location for Burlesque. “The Filly Follies”, Munich’s Burlesque pioneers have been running international Burlesque shows in the theatre for several years. Together with Burlesque performers and promoters, Melody D’Amour and Bettie Berlin, they are also organising the Bavarian Burlesque Festival.